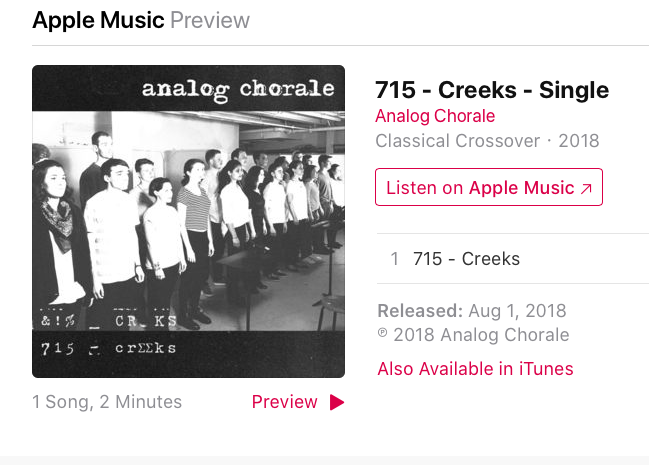 Analog Chorale performs "715 - CRΣΣKS" by Bon Iver. Choral arrangement by Krishan Oberoi / Video by Jacob Saariaho & J.L. Carrozza / Sound by James Bohn & Chris Hobson. Thanks for watching!